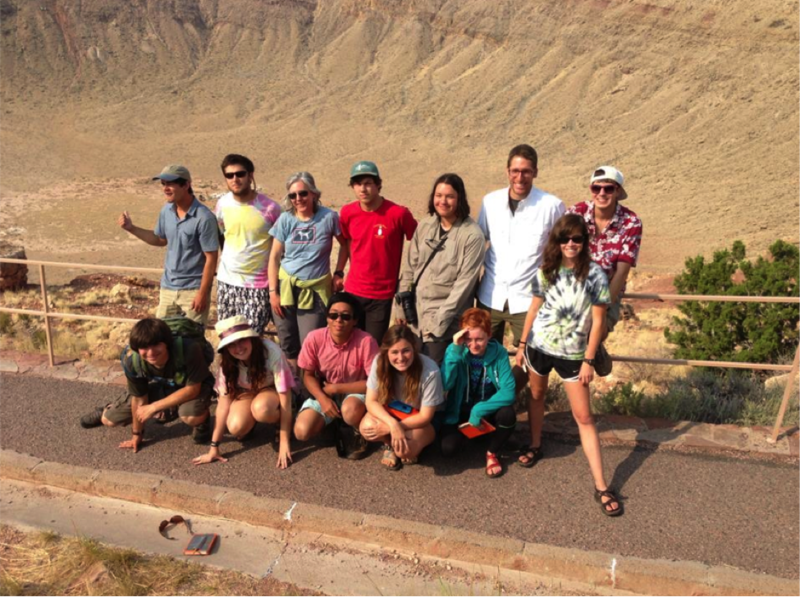 Co-sponsored by the University of Georgia Geology Department, Honors Program, and Recreational Sports, the Interdisciplinary Field Program encompasses Geology, Anthropology, and Ecology in a unique and exciting "open-air" classroom that travels throughout the western United States in eight weeks. The IFP begins in early June and spends several days of classroom and field instruction at the Marine Institute on Sapelo Island, Georgia. From there, the course travels west via the Desert Southwest and arrives on the west coast in the San Francisco Bay area approximately four weeks into the trip. The route then heads north through the Pacific Northwest before heading back east through the Rocky Mountains and Great Plains. Along the way, the group visits some of the country’s most spectacular national parks and monuments, including the Grand Canyon, Yosemite, Crater Lake, and Yellowstone. Students have the opportunity to challenge themselves physically on famous hiking trails such as the Narrows in Zion National Park and up Mount St. Helens in Washington and to explore fantastic cities such as Las Vegas and San Francisco on days off. The IFP travels by van, moving every few days to new campsites. Nearly all accommodations are in campgrounds, which range from developed (with hot showers and laundry facilities) to primitive (with pit toilets and no running water). Students provide their own camping gear. Cooks travel with the group and drive a support truck, which carries the camping gear and kitchen facilities. In camp, students assist with various chores, such as loading and unloading the truck, setting up camp, and meal preparation. Days are long and the work in demanding, but IFP participants are rewarded with great memories and friendships that last a lifetime.